On Being a Cop describe the adrenaline-pumping, heart-pounding moments of co-author’s Jim & Jay Padar life-and-death experiences fighting crime, the emotional toll that the job takes upon them and their families, the value of a support system that includes chaplains, partners, and the public, and the moments that make doing the job all worthwhile. Fifty-three stories capture every aspect of a police career from being a rookie to working the graveyard shift, chasing criminals, playing fireman, visiting the morgue, and investigating heinous crimes. 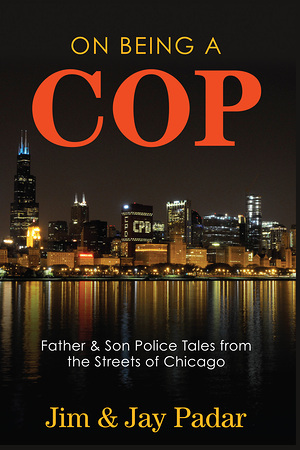 Whether it’s Jim dealing with riots in Chicago’s streets following Martin Luther King Jr.’s assassination or Jay coping with the loss of officer’s close to him to suicide, readers will experience the tears, tragedies, and triumphs of being a police officer. In these pages, wrongs will be righted, lives saved, hearts broken, and friends, family, fatherhood, and faith will give these men the strength to go out and do it all over again the next day.